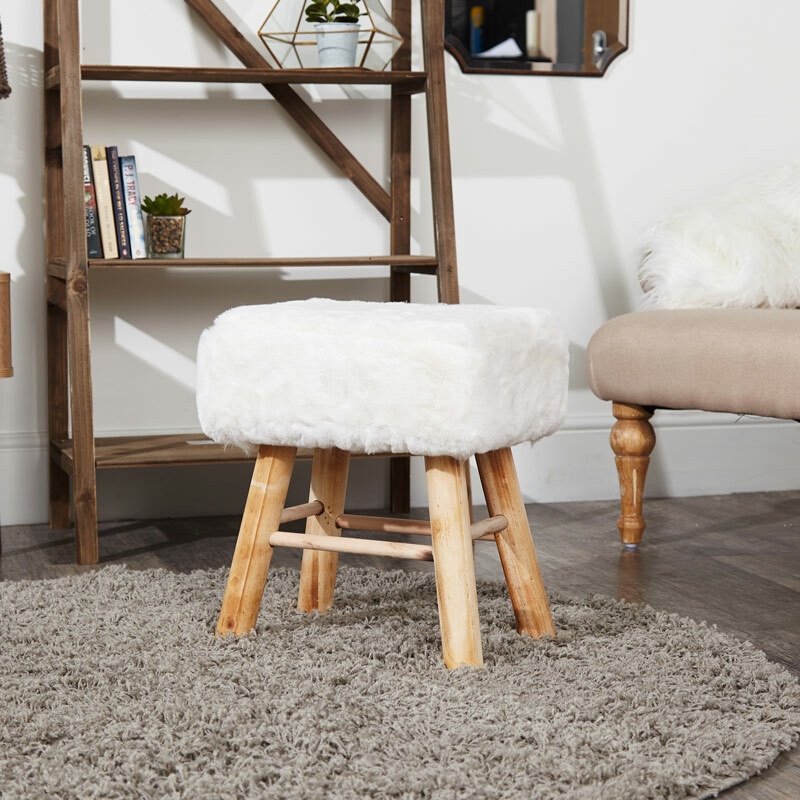 Take your throne upon this beautiful white faux fur stool at your dressing table. Perfect for use in the bedroom or as a foot rest / occasion stool in the living room. A girly stool that feels and looks amazing with its super soft fabric top which crowns 4 wood legs with a look of natural sanded wood. Let this stool be the pièce de résistance in your french chic boudoir or the final touches in your contemporary modern interior. Take your throne upon this beautiful white faux fur stool at your dressing table. Perfect for use in the bedroom or as a foot rest / occasion stool in the living room. A girly stool that feels and looks amazing with its super soft fabric top which crowns 4 wood legs with a look of natural sanded wood. Let this stool be the pièce de résistance in your french chic boudoir or the final touches in your contemporary modern interior. The cover of the stool is made from 100% Polyester. Our stool collection ranges from different styles, designs and colours! 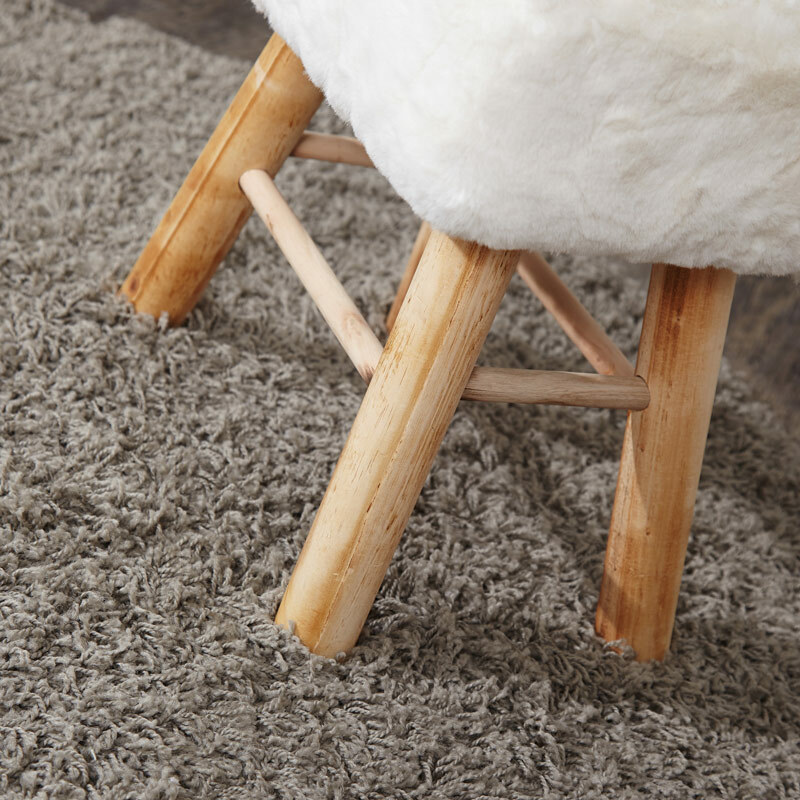 If this is not the stool to complete your decor that be sure to check out our full collection.